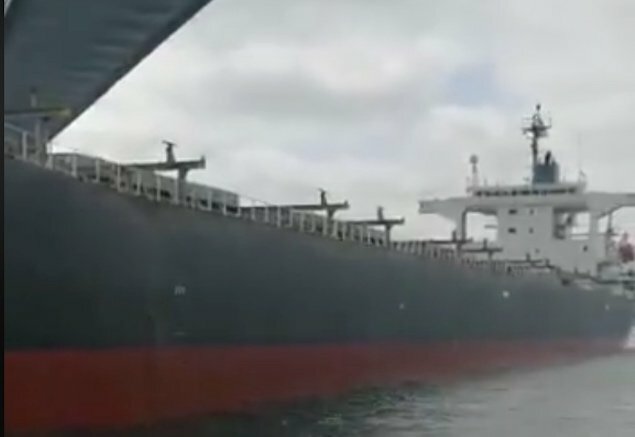 An Istanbul court has issued a warrant for the seizure of the bulk carrier Vitaspirit , owned by Greece’s Odyssey Navigation, that crashed into a waterfront mansion on the Bosphorus on April 7. The ruling came after the owners of the Hekimbaşı Salih Efendi mansion applied to the Istanbul 17th Commercial Court of First Instance on April 9, demanding a lien to be enforced after their mansion was left with extensive damage. In their application, the owners noted the 18th century pink mansion had lost its historical status as a result of the crash, an accident that was caught on video and went viral via social media over the weekend.